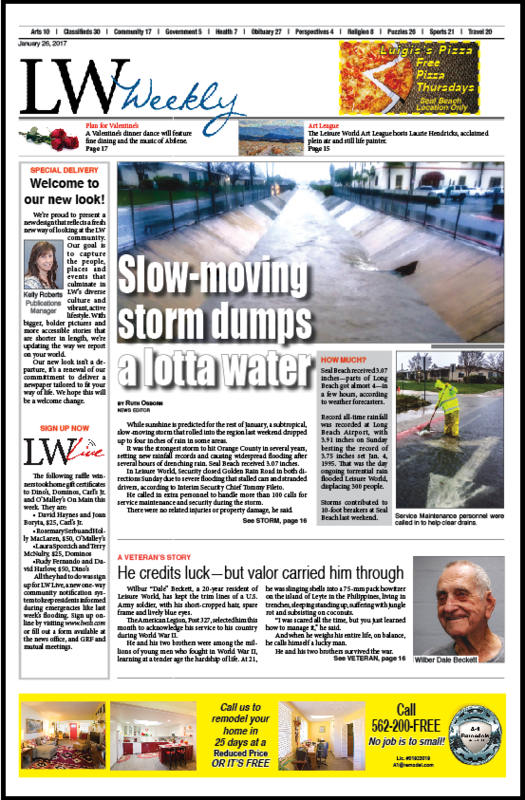 A weekly newspaper that reports on local and community news, special events, social clubs and important meetings, LW Weekly is delivered to all 7,000 residences plus 2,000 local senior centers, care facilities and businesses. It’s editorial content is filled with vital information on health, finance, travel, the arts and consumer protection directly pertaining to the senior community. There are no other free weekly or monthly publications to compete with and daily newspaper subscriptions make up less than 20% of the population. 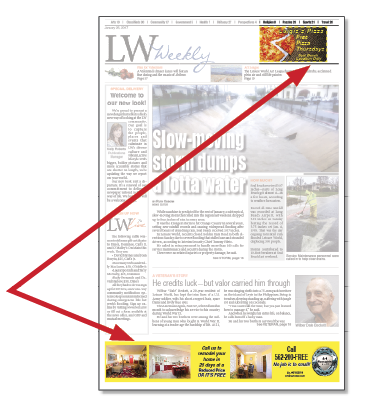 Savvy advertisers realize the importance of this newspaper as the main pipeline for getting information into the hands of LW residents. Ads are measured column x inches. Full page ad measures 5 columns by 16″. Ads 14″ deep or more are billed as full page ads. Ads are accepted in hard copy and digital, but PDF files are preferred. For the first time ever, The News is offering front page advertising options! These ads are positioned to give you premium ad space to expand your company’s reach and strengthen the effectiveness of your advertising. If your ad is on the front page, it gets read first! And because the ads are positioned along the top and bottom of the newspaper, it’s easy to include coupons and special discounts that readers can cut out and return to you. Now that’s proof of performance! 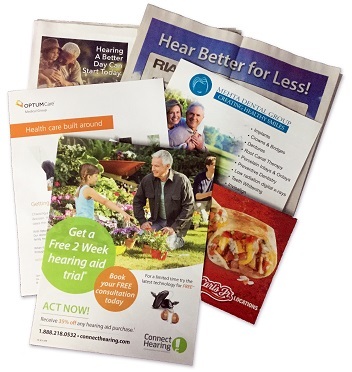 Have 8,000 pre-printed fliers or other marketing materials inserted into our newspaper and publications. Inserts are a fast and easy way to get your message to every residence and to various local senior centers, care facilities and businesses.